Can I get the locum's contact details prior to the shift? How do I get in contact with the locum once they are booked? How do I contact a locum who has applied for a shift? What checks do you carry out on locums before they can book shifts? Can a locum book shifts if they have fitness to practise issues? How will the locum know what is expected in my pharmacy? How can I tell the locum what I expect in my pharmacy and how will they get in touch? What if a locum's performance is poor? How do I report a locum for poor performance? How do I pay locums? Once a locum works a shift, how should I pay them? How likely is my shift to be filled? Am I likely to get a shift filled when posting it on the system? What if I need specific accreditations for someone to work in my branch? What if I need someone who can perform specific services in my pharmacy? How can I get someone who has the appropriate accreditations? Why does my shift not have any applications? I have posted shifts but haven't had any applications yet, what can I do to attract locums? Can I get an export of all the shifts that I've posted? I would like a spreadsheet with all of the shifts I have posted this month on the system, does the system have an export feature? Can You Provide Permanent Pharmacists? I don't want a locum, I want to recruit someone full time - how can I do this? How many locums do I have access to? How many locums do you have and how many are near my pharmacy? How does Locate a Locum work? What is Locate a Locum and how does the system work? How do I book a locum? Is Locate a Locum a recruitment agency? What if a locum doesn't turn up for a shift? What happens if a locum is a no show? What should I do if the staff notify me that the locum hasn't turned up. How does the locum know if they have been booked for the shift? Is the locum notified when I have booked them? Should I get in contact the locum when they are booked? How much is it to register with Locate a Locum? How much does it cost to use Locate a Locum? How much does it cost to post shifts? Can I Edit Shift Details? How do I change the rate or start time of a shift? Can I cancel a shift that I have booked? If I have booked a locum can I cancel the shift? How do I add a branch? I need to add a new branch to the system, can I do this? How do I accept a locum's application? I have received an application for one of my shifts, how do I book a locum? What do I do after I receive an application? 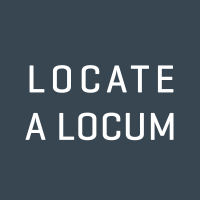 How experienced are the locums on the Locate a Locum marketplace? How do I book the same locum again after I have arranged it with them? I have discussed booking a locum again for more shifts, can I do this and if so, how? How Do I State Any Mileage Payments Or Benefits? Where do I tell the locum about milage supplements or other benefits of the shift?